Dubai’s reputation as a centre of commerce was well established by the late 19th century with its souks attracting traders from all around the world. Of the seven emirates that make up the United Arab Emirates it is the only one that has become wealthy through trading rather than oil. Although much of today’s retail activity in Dubai takes place in its modern shopping malls, the city’s souks are still vibrant marketplaces and are an essential part of the Dubai experience. 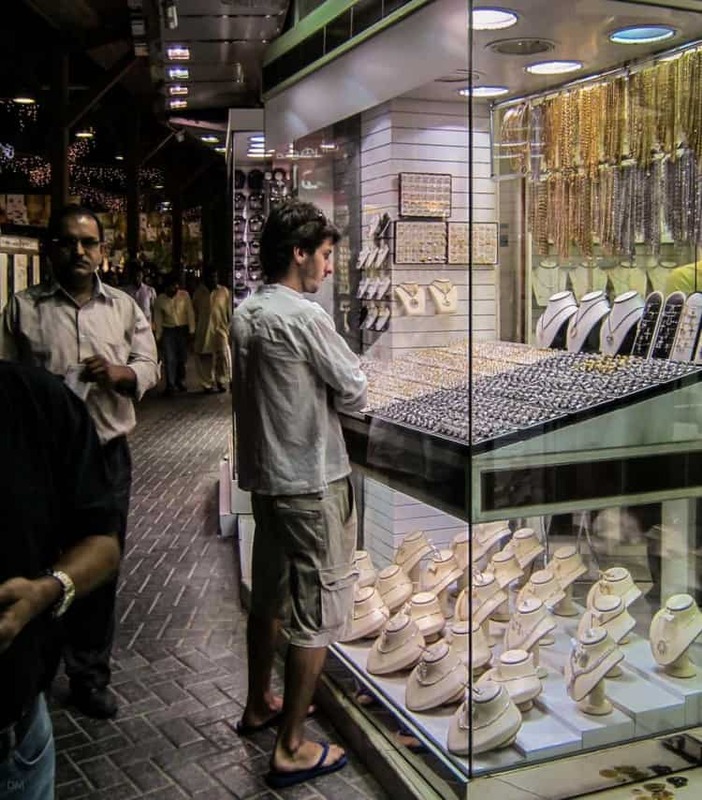 The Gold Souk is Dubai’s best known and most popular souk. It consists of covered walkways lined with hundreds of jewellery shops selling pieces made with gold, silver, and precious stones. It’s situated in Deira, just a couple of hundred yards from Al Ras Metro Station (Green Line). The Spice Souk is another big draw and is just a few minutes’ walk south of the Gold Souk. The narrow alleyways are filled with small shops selling a variety of herbs and spices such as cinnamon, cloves, cardamom, saffron, turmeric, coriander, sumac, and nutmeg. 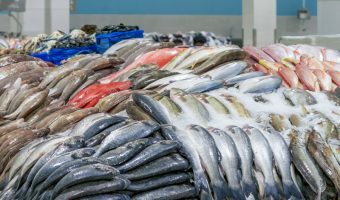 Every day their stocks are replenished by the dhows arriving at the nearby wharf from Iran, India, Pakistan and other countries. The Perfume Souk is the name given to the collection of perfume shops on Sikkat Al Khail Road, just east of the Gold Souk. Both international and Arabic perfumes are available, the latter available in ornate, collectable jars. Incense is also sold here. The Old Souk/Textile Souk lies over the Creek in Bur Dubai. The bazaar consists of a long line of restored sand-coloured stone buildings, covered by a wooden roof in one area, and topped with attractive wind towers. The multitude of small shops here offer a massive range of fabrics (cashmere, silk, cotton, wool etc.) plus garments, slippers, souvenirs, and other goods. The Textile Souk can be reached from Deira (Gold Souk, Spice Souk, Perfume Souk) by crossing the water on an abra or water taxi. Alternatively travel by Metro on the Green Line and alight at Al Ghubaiba Metro Station or Al Fahidi Metro Station. The Bastakia Quarter and Dubai Museum are nearby and well worth a visit while in the area. In addition to the historic souks noted above, Dubai also boasts modern recreations aimed at tourists. The Souk Madinat Jumeirah is part of the massive Madinat Jumeirah complex. In addition to a large number of shops it also boasts a great collection of restaurants, a nightclub, and theatre. The Souk Al Bahar is Downtown Dubai’s equivalent of the Souk Madinat Jumeirah. The main attraction is its waterfront restaurants, most of which boast great views of the Dubai Fountain and Burj Khalifa. Another modern souk is Khan Murjan at Wafi City in Umm Hurair. Haggling is possible at all of Dubai’s historic souks (and even worth trying at some of the modern souks and shopping malls) and can result in significant price reductions. Experienced hagglers suggest tactics such as dressing shabbily, claiming to be a resident, walking away, and perfecting a sincere look of surprise when informed of the initial price, can result in significant discounts. Prices of items on sale at the Gold Souk are based on the market rate for gold (and/or materials used) plus a charge for workmanship. This latter is usually around 10 to 20 per cent of the total cost and is the only element of the price that can be negotiated. Fish market offering an impressive range of seafood at reasonable prices.